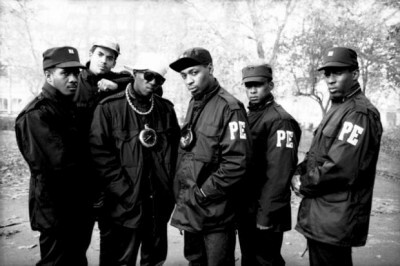 The Truth About Music » Public Enemy To Premiere Documentary "Rebel Without A Pause"
Iconic hip hop group Public Enemy became the third rap act to be inducted into the Rock and Roll Hall of Fame this year, and celebrated the achievement by headlining a star-studded concert. Now that concert, and the days leading up to their hall of fame induction, will be shown in their documentary, Rebel Without A Pause The Induction Celebration of Public Enemy Into The Rock And Roll Hall Of Fame. Directed by Jason Bergh, who also helmed the 2007 Wu-Tang doc Wu-Tang Revealed, Rebel Without A Pause features appearances by Doug E. Fresh, Darryl “DMC” McDaniels, Kool Moe Dee, Dee Barnes, Eddie Murphy, Russell Simmons, and others. The documentary will premiere on Centric on June 1st at 10 pm/9 pm Central. Watch the trailer .